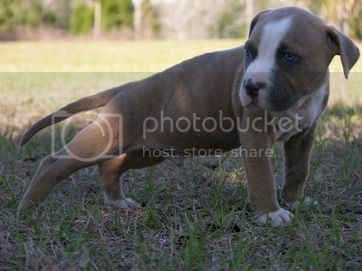 Discussion in 'Pit Bull Puppy Discussions' started by LordV, Jan 30, 2019. Ok so I have a couple of questions. First one: she recently turned 10 months and started drooling, if she had been drooling for a while I wouldnt be so concerned, since it just started and I know it's a symptom of health concerns.. not sure if I should be seriously concerned..
Second: to us, my wife and I have been caring for her since she was 8 weeks old. We have tried everything from cheap toys to expensive specialty toys. None last longer then 3 days before she destroys and/or esta them. Any tough ideas that will last or at least she won't eat? As far as the drooling goes, I would let your vet know. Toys: have you tried a Kong? If they eat one flea they can get tapeworms. Mine drooled more when i saw a tapeworm segment in his stool. The souper sized nylabones have helped. The extreme holee roller has helped too. Black Kongs have also worked. Kongs, gonuts, hard bones and jolly balls. The thing about these dogs is, there is no such thing as indestructible. No answer for the drooling. I'd make my vet aware. I gave my dogs bicycle tires to play with. May not be very good if the dog is kept inside though. Haha...Home Depot in the garden sections have spare tires for lawn mowers, carts, etc. Its not a huge selection but you can find tires in the 0.5-3ft diameter range. Always a challenge finding good chew products which won’t make them sick from eating, exposure to toxins or wear their teeth out prematurely. Some good products mentioned, like Kong extreme. Consider tiring the dog with other physical activities like tugging or fetch. Many others. Obedience training can settle them mentally. The drooling does not seem normal. Good luck.